There are MANY service events for your DB9 that say to disconnect the battery as one of the steps. I am as realistic as anyone in this regard – meaning I usually skip this step if I think I can get away with it. The safety Nazi’s probably tell you disconnect the battery to vacuum the carpets. But, there are certainly some circumstances where this should be followed. Working on your fuel system, working on the electrical system, etc. 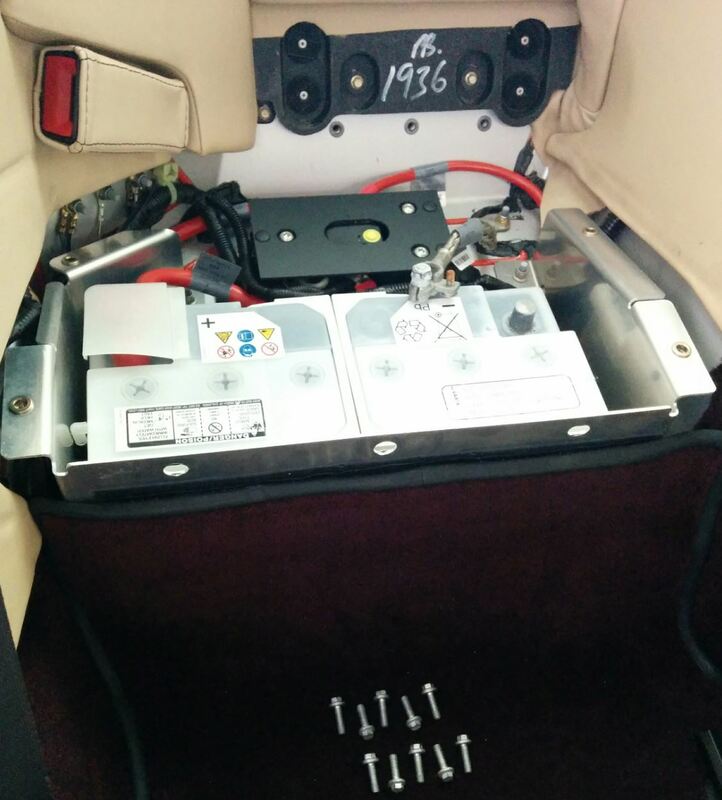 Any situation where an accidental spark or short could destroy parts of the car.The DB9 has a bunch of computer modules, and sadly they have ‘memories’ that require the battery to ALWAYS be present (more modern cars have memories that remain even if the power is removed). If the battery power is interrupted for even a short period of time, they dump their stored memory parameters, and you have to set things up again. Simple things like the clock and stereo presets, a few more challenging items like the window auto drop and seat calibrations, plus the more difficult misfire correction factors that must be relearned. I’ve done blog posts on each of those already so I hope those help. Aston Martin released Service Bulletin SB153 in December 2004 about each of the modules in the car that need reprogramming after losing power for any reason. You can read SB153 here. To be clear, I am talking about actually disconnecting the ground lead on the actual battery – cutting off all power to the car. I am NOT talking about the battery disconnect button in the trunk (boot) that you could use when storing the vehicle. 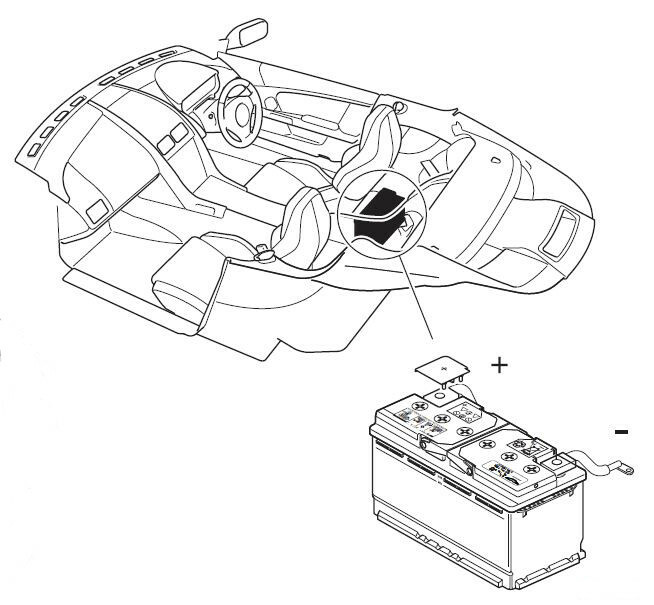 The battery is located under the right hand rear seat. Yep, it’s gonna be fun reaching this. Limber up at Yoga class. The process won’t take long. You’ll be done in under 10 minutes. Start by moving the right hand seat all the way forward, and then tip the back all the way forward as well to give you as much access as possible to the rear seat area. Note: Keep in mind once you’ve disconnected the battery you won’t be able to move the seat again until its reconnected, so if you are servicing something under the dash on the same side, this presents a bit of a conundrum. You’ll need to remove the leather seat squab next. Freaky as this sounds, its very easy. 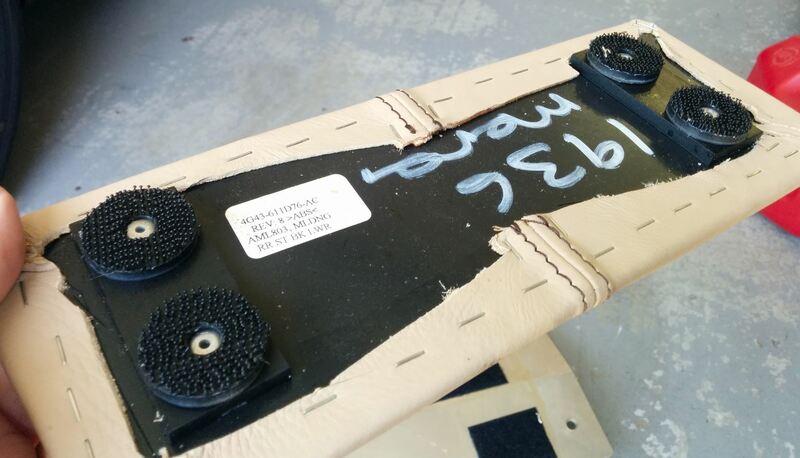 The seat is only held in place with 2 patches of Velcro. Just grip the front lower lip of the seat and lift up. You should hear the ‘rrrrippppp’ of the Velcro and just remove the seat base and put it someplace safe. See my video below to watch exactly how it comes out. 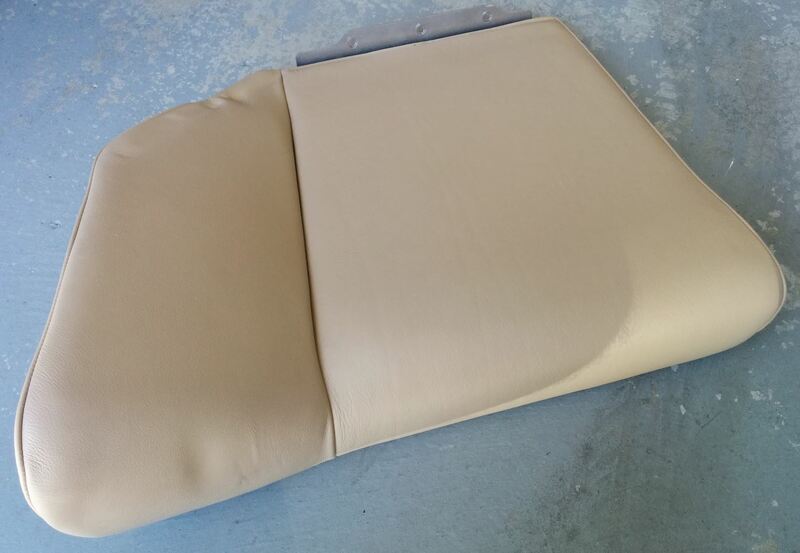 Next you need to remove the lower panel of the seat back. Its a small simple piece, also held in place by four small pads of Velcro. Just grip it carefully and pull it out straight forward. Put it someplace safe. 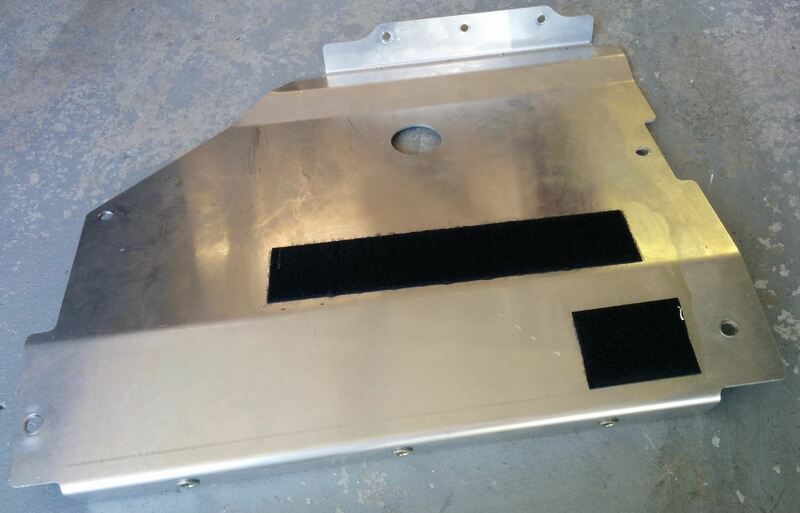 Now you have access to the aluminum panel that is the seat base and the battery cover. Aston Martin really didn’t want it to fall out, so it’s held in place by ten (10) 8mm bolts. Just remove all the bolts. Lift the battery cover out, being careful not to bang it around against the electrical connections or the leather. Best to remove it without touching anything else. With the battery now exposed you can see the positive battery terminal on the left (under plastic covers) and the negative battery terminal exposed on the right. See my Note below on the Alarm system, and it’s suggestion that you complete the next two steps (loosening and disconnecting the negative battery cable) within 10 seconds of switching off the ignition. Using the 13 mm box end wrench, loosen the battery terminal nut about 1 turn, just enough to break the ‘clamp’ it has on the battery post. Wiggle the terminal loose by twisting it slightly on the post, and once loosened just lift it away from the post. Position the battery cable away from the negative terminal so it won’t accidentally move back and accidentally touch the negative battery post. That’s it for disconnecting the battery. In another post I will cover connecting it again and the steps necessary to fix all the things that just lost their computer memories. Here is a short video on the process. When I disconnected my battery it was at least 30 minutes after switching off the ignition, and no alarm sounded. Perhaps my car doesn’t have this feature, or the referenced back up battery is shot and can’t hold a charge either. Anyways, you might want to factor this into your process. Thank you so much for your videos. A fantastic job! I have a 2005 DB9 here in Houston,Texas. The dealer replaced my battery a couple of years ago for well over $500. Car is not a daily driver. Dealer said to keep a trickle charger on it so it wouldn’t go dead. Well, I guessed it worked for awhile but now even with the trickle charger indicating a full charge, the car needed to be jumped. After watching your videos I went and bought a new Bosch battery and will attempt to change it tomorrow. My first question is if I leave the trickle charger attached during the change, will I still have to reset all the modules with a memory? Second, since the trickle charger is indicating a full charge, could it be something else besides a weak battery? Hi Eric. Thanks for the kudos! Sorry to hear about the battery. If you’ve read my battery article, I mentioned that the Odyssey smart battery chargers combined with an AGM battery should give you great service, even in trickle mode. They deep cycle the battery to keep it conditioned. If your old battery was a lead acid traditional type, a plain trickle charge could lead to sulfating and poor battery performance even when charged. If the replacement battery starts it effortlessly, I wouldn’t look much farther. Will a trickle charger keep the car ‘alive’ when doing the replacement? Probably, but then the ‘risk’ is back that the cables you seem me flopping around while doing the swap will have power from another source, and you are back to having a possibility of shorting something expensive out. If you are super careful and take this into consideration, sure, could save the hassle of relearning the misfire correction factors. The other items just take about 5 mins to fix. I also ran out of juice on the battery. I´ve installed a new one but now I can not start the engine (starter button shows no sign of life) and have a long list of error messages instead. One says I need to verify the activation of the battery. Any idea how to do this? I read in other websites that the older models had a secret button under the passenger seat on the drivers side. But on mine there is no such button. I have also read that the button does not exist on newer DB9s. Mine is 2005. Hi Rainer. Sorry to hear about the challenges. There is a battery reset button, its not so secret. Its a small yellow button that is visible right above the battery location. 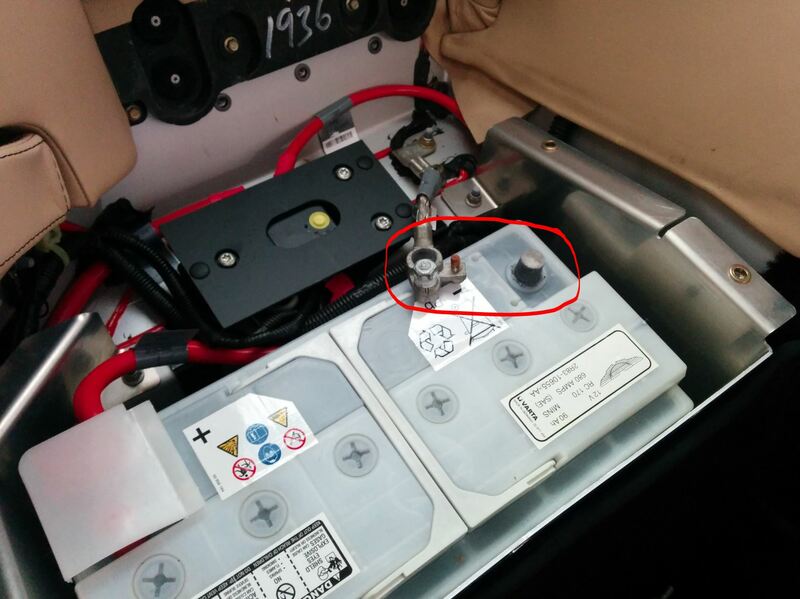 If you remove the seat cushion overtop the battery, there should be a small 1″ diameter hole in the aluminum cover plate. Through that you should see a yellow plastic button. Press it. This is the battery system reconnect. Give this a try and then see if things improve.